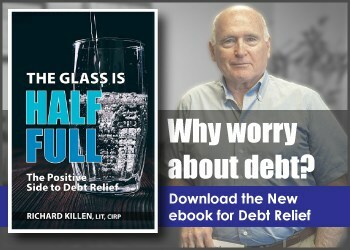 Whether you are considering a consumer proposal, credit counseling or a personal bankruptcy as a means to ease your debt relief, Richard Killen & Associates is here to help you understand all your options. Many individuals come in with the intention to declare personal bankruptcy however once all the options are revealed, many choose to view a consumer proposal as a viable alternative. This is not to say one solution is better than another, rather your individual circumstances will dictate the solution that is best suited for your financial situation. 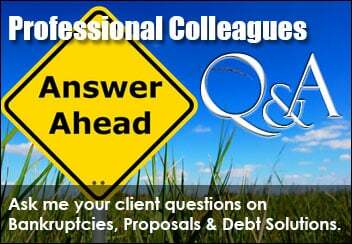 A Licensed Insolvency Trustee is very different from other “debt experts” or “consolidation loan companies. The reality is that if you are in debt trouble there is only one person who can provide you with an in-depth assessment of your situation and explain the consequences of the legal solutions which may be available to you. That’s a Trustee in bankruptcy. 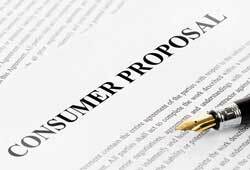 In fact, it should be made clear that only a Licensed Insolvency Trustee can offer a legal Consumer Proposals. The word bankruptcy tends to put people off. No one really wants to file a personal bankruptcy, no matter how desperate the need. A consultation with a Trustee does not commit you to a bankruptcy or any action. All it means is you’ll be getting the information you need to find the right solution for yourself – whether that’s a consolidation loan, an informal debt consolidation, credit counseling, a bankruptcy or a Consumer Proposal. Your initial consultation is free of charge and we can arrange an appointment in the evenings if that is more convenient. All our offices also supply free parking. 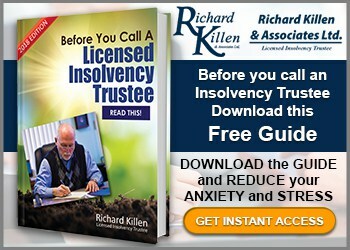 Richard Killen & Associates has debt counseling offices across the Greater Toronto Area including Toronto, Scarborough, Mississauga, North York, Brampton, Georgetown and Pickering. Our team of professional and caring people know and understand the stress you may be under if you come to us for help. A call to one of our offices will likely be the most stress relieving call you will ever make! As a Trustee we are licensed by the Federal Government and operate under the authority of the Federal law and the Ontario courts. 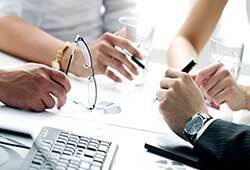 A Trustee is held up to the highest standards of professional and legal conduct. All this combines to guarantee you the best possible source of advice and information. You just can’t get this anywhere else. If your debt is keeping you up at night and causing undue stress in your life, it’s time to review your options and get some solid advice. Take your first step towards freedom from the debt burdens you have accumulated and call our office to discover your options including consolidation loans, a consumer proposal, credit counseling and personal bankruptcy.